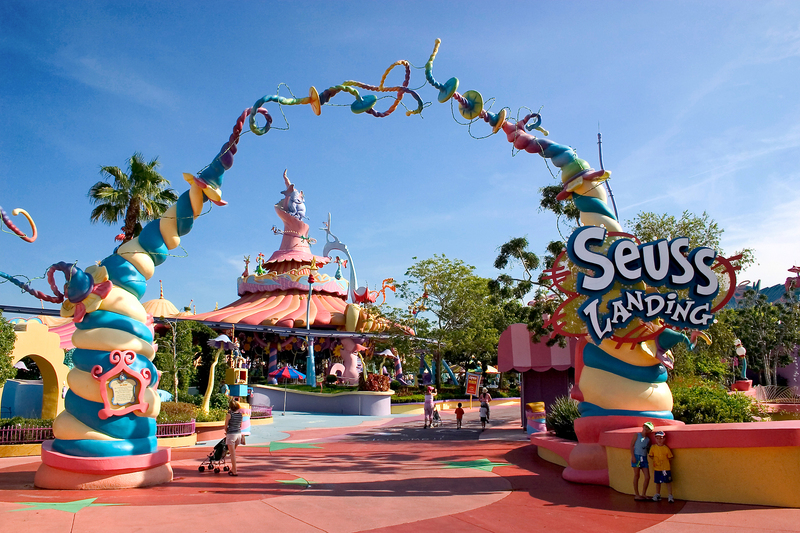 Hosting more than 8 million guests each year, Universal's Islands of Adventure ranks among the world's top theme parks. It features several distinctly themed areas, each with an eye toward adventure. You can explore a world of superheroes and cartoon characters on the park's roller coaster and train rides, or choose from a range of interactive live shows. As you journey through the islands, look out for Spider-Man, Harry Potter, and a slew of characters straight out of Dr. Seuss' imagination. The park includes several rest areas where you can sit down for a quiet meal or pick up a few souvenirs. Save money and time by booking your park experience well in advance. There's an on-site hotel. To visit Universal's Islands of Adventure and other attractions in Orlando, use our Orlando itinerary planner. Already knew the park but without the new King Kong attraction. Everything done to enchant the visitor with too much reality is security. The theme park is excellent, definitely recommend at least devote two days to this park since it has different areas furnished according to different productions from Universal Studios. The attractions are very good, abundant experience and technology 3D and/or 4DX. A remarkable area, and more remarkable is Hogsmeade and Hogwarts, the nightly show Castle is great and more enjoying it accompanied a butter beer, definitely a "must" to visit this park. The most recommended: island of Kong, Hulk, Hogsmeade. So much fun!!! We were deciding between Disney and Islands of Adventure for our summer trip but decided that this was going to be more grown up fun and I’m glad that we did. I highly recommend that you download the app so that you can see the wait times for the rides throughout the day. Also, get there early to get through the popular rides with much shorter wait times! There were lots of places to grab quick bites to eat and many CLEAN restrooms so you never had to wait in line. It rained on and off most of the day but we bought ponchos and while waiting for the rides to open back up we ate and shopped for souvenirs. I loved that the preferred parking saved us minutes of walking especially at the end of the day when we were exhausted and really liked that there was a lot to do even before you paid to get into the park. There were lots of restaurants, movies and shops if you want to enjoy the atmosphere and people without paying to get into the actual park. I think it would be great for a fun date night if you’re spending any time in Orlando.